Learn how to set the foundation for your personal yoga practice or how to develop classes that are sincere and respectful. In this weekend workshop we will look at how to make the physical and mental preparations for practice, we will explore what role intention and motivation play in our yoga practice, and we will explore how to cultivate a relationship with Yoga that is more fulfilling. In this workshop, we will meet nightly for one week. Each night we will look at the foundations for a different family of yoga postures. In this weekend workshop, we will explore variations in postures, how to prop for special needs, and how to do hands-on adjustments. For this workshop, you need to know the postures and how to teach them. You should expect this to be a fast-paced class with lots of activity. In this week-long workshop, we will explore Yoga as an ancient tradition. What does the word yoga mean? When did it begin to a system? How has yoga changed? Who are the important teachers in this lineage? We will answer some of these questions, taking a more academic approach to studying Yoga, with contemplative practice mixed in for better integration. In this weekend workshop, we will explore Modern Postural Yoga. Modern postural yoga is what we are practicing right now. We will learn about the influential people, exercise styles and theories in the yoga community today. We explore new age topics like mobility and myofascial release and talk about controversial issues such as racism and orientalism in the yoga community. In this weeklong workshop, we will explore the spiritual technologies of breath work and meditation. We will explore these techniques in relation to the different streams of yogas development. Monday - Different views on prānāyāma and subtle body anatomy. Tuesday - Different views on meditation; classic vs. tantric vs. haṭha. 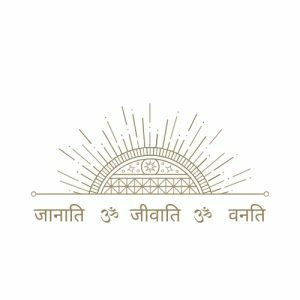 In this workshop, we are going to explore Yoga and its various techniques and philosophies with a focus on the relationship between the cosmos, the mind, and our experience. We will explore through gentle āsana, breath work, meditations of various types, artwork, journaling, and discussion. In this weeklong workshop, we will explore the dynamics of sharing Yoga with others. Our focus will be on creating yoga classes, how to link poses together, how to create classes that are thoughtful and appropriate. What the energetic and physical effects of postures are and how to prescribe them considering the student, time of year, and other important factors. Practice developing class sequences using various themes and peak postures. In this weeklong workshop, we will focus on refining and perfecting our ability to think critically and look at students bodies. Each day we will focus on identifying and correctly adjusting physical postures. Learn how to practice and teach yoga āsana in yin and restorative ways. Learn how to plan and teach Yin and Restorative classes.